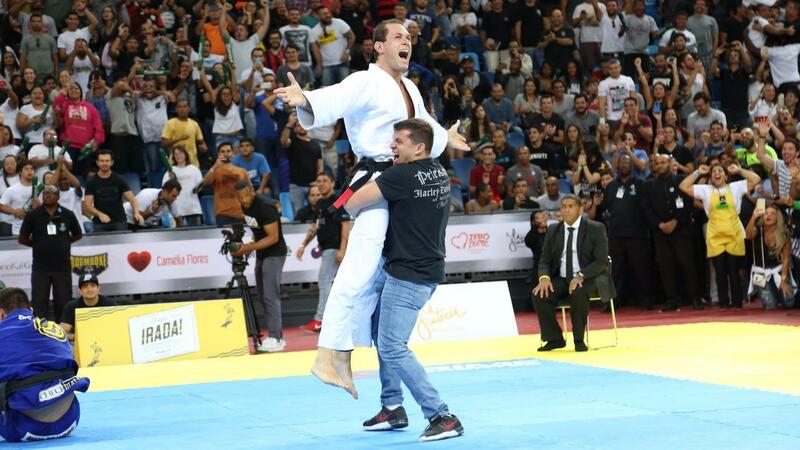 The most-anticipated rematch in jiu-jitsu history ended with a bang today as Roger Gracie and Marcus 'Buchecha' Almeida met at the Gracie Pro event. The Olympic Arena Carioca 1 (Rio de Janeiro) hosted the jiu-jitsu spectacular, which featured a 15-minute superfight between the two jiu-jitsu legends. The match would serve to settle the score from their match in 2012, declared a draw under submission-only rules. After an initial studying period by both athletes, Buchecha tried to go for takedowns, which Roger calmly and quite impressively defended. Pulling to guard, Gracie reversed position and forced Buchecha to the turtle position. The choke soon followed, an epic finish for an epic career.